Spinal surgery abroad! Premium quality, safe and reasonably priced. Hello! Neuro Spine Riga is the number one choice for many UK patients who are considering undergoing spinal surgery abroad. Neurosurgery is a surgical discipline that concerns itself with the diagnosis and treatment of disorders of the nervous system. This, of course, includes procedures performed on or around the spinal column such as lumbar decompression surgery, lumbar microdiscectomy surgery and Anterior Cervical Discectomy and Fusion surgery. There are several sub-categories in which a neurosurgeon may choose to practice including neurovascular surgery, functional neurosurgery, neuro-oncology and spinal surgery (including the 3 types of spinal surgery mentioned above). Neurosurgeons typically use various imaging technologies to help them make accurate diagnoses including CT (Computer Tomography) scans, MRIs (Magnetic Resonance Imaging) and X-rays. Although, from an historical perspective, this type of surgery arrived fairly late on the surgical scene today it is considered leading edge surgery in virtually every respect and utilizes some of the most forward leaning medical technology on the planet. It takes many years of study and practice to become a licensed neurosurgeon regardless of whether that neurosurgery training is UK based or happens on the continent. Training in most European countries includes a four year Bachelor’s degree, four years of graduate study in medicine and then up to 8 years of neurosurgical residency training (the process of becoming a specialist in neurosurgery). Due to the lengthy and arduous training required the fields of neurology and neurosurgery tend to attract some of the best and brightest minds in medicine. What Types of Surgery are Performed at Neuro Spine Riga? 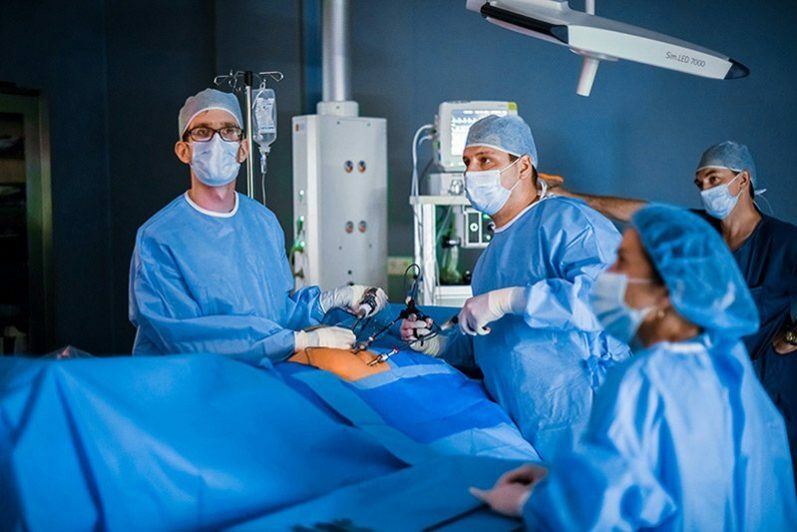 Neurosurgeons at Neuro Spine Riga specialise in minimally invasive spinal surgery and a range of cranial surgeries, including surgery for brain tumours (neuro-oncology), cancer, hydrocephalus, neurovascular abnormalities such as aneurysms and more. That said, the following procedures are far and away the ones most often performed at Neuro Spine Riga. Interlaminar decompression (AKA flavectomy/ligamentectomy) – The most commonly used technique wherein only thickened ligament pressing on nerves is removed without compromise to spinal column itself. This technique involves only a small incision (known as a “keyhole”). It is a microsurgical procedure performed using magnification provided by a surgical microscope. This is an easily tolerated, patient-friendly operation with shorter recovery times. Interspinous distraction procedures (interspinous spacer implantation) – This is a minimally invasive technique which involves placing a spacer between two vertebrae which increases the interspinous space therefore relieving pressure on compressed spinal nerves. Spinal fusion – A spinal fusion is the process of permanently joining two or more vertebrae into a single unit in order to prevent future pinching of the nerves of the spine. This technique is used when lumbar spinal stenosis is combined with so-called “segmental instability” or severe spondylolisthesis. Discectomy – If an intervertebral disc bulge is contributing to spinal stenosis, a discectomy may be performed to remove some of the damaged lumbar disc and relieve pressure on the spinal nerves. Laminectomy – Laminectomy for stenosis is that part of the operation described above wherein pieces of bone are removed in order to relieve pressure. Discectomy – With a discectomy some of the damaged lumbar disc is removed to relieve pressure on the spinal column. Spinal fusion – A spinal fusion is the process of permanently joining two or more vertebrae into a single unit in order to prevent future pinching of the nerves of the spine. Most patients will only require one technique. However, each patient being different, the specifics of a particular patient’s condition may call for a combination of techniques to achieve the best possible result. CES or Cauda Equina Syndrome – CES is a serious condition that should not be left untreated. This form of degenerative spinal stenosis is capable of generating myriad life-altering consequences including permanent incontinence and paralysis. Spinal stenosis – Spinal stenosis is a condition wherein a thickened, enlarged ligament (AKA ligamentum flavum) compresses the area around the spinal nerves. The principal symptom of this condition is bilateral leg pain while walking or standing which is relieved by sitting or bending forwards. While sitting, patients may feel no pain at all. However, when walking, they may be severely restricted. Less common symptoms of lumbar stenosis are unilateral leg pain (sciatica) created by pressure on the nerves. Numbness, a tingling sensation, pain and a feeling of weakness in the lower extremities are typical symptoms of this type of spinal narrowing. A slipped disc – The discs between the vertebrae are filled with fluid and covered in a tough coating. If this coating tears the fluid within can spill out. This loss of fluid causes the disc to lose integrity and in its misshapen state it often brings pressure to bear on the nearby nerves. This pressure then causes pain to radiate down the legs. This pain is known as “sciatica”. Metastatic Spinal Compression – Cancer in other areas of the body sometimes spreads into the spine. When it does so it can cause pressure on the spinal cord. When it comes to obtaining relief from sciatica microdiscectomy (herniated disc surgery or ruptured disc surgery) is considered the most effective surgical route. This type of spinal surgery has a success rate of more than 95% and is typically the standard by which other procedures are judged. As with decompression surgery a ruptured disc surgery is performed under general anaesthesia with the patient lying face down. This type of sciatica surgery typically takes anywhere from 1 to 2 hours depending on the particulars of the case. This type of disc bulge surgery is fairly straightforward and typically proceeds in the following manner. A small incision is created along the vertical axis of the spine. A tiny camera is inserted which will allow the surgeon to conduct the procedure while watching a monitor. A surgical microscope is used to provide high magnification and illumination of surgical field. Various muscles along with the membrane over the nerve root are moved out of harm’s way by means of a retractor. The surgeon will sometimes need to remove small portions of the facet joint to relieve pressure and gain access to the nerve root. A small opening may also be created in the bony lamina in order access the area where the nerve impingement is occurring. The nerve root is then moved aside so clean-up of the disc can commence. The surgeon then removes any fragments of the herniated disc that were impinging the nerve. Once adequate space for the nerve root has been re-established all tissues are returned to their normal location and the instruments and camera removed. The incision is closed and the patient moved to the recovery room for monitoring. Conservative methods have failed – This is the most common reason for recommending surgery for sciatica (radicular leg pain). If more conservative methods of treatment including painkillers and physiotherapy have failed to produce the desired results over a period of 6 to 8 weeks surgery may be recommended. Progressive muscle weakness – Progressive muscle weakness of a significant degree is another reason surgeons may recommend microdiscectomy. If more conservative treatments are unable to stem the tide of muscle weakness surgery may be the only reasonable option left to rectify the situation. Intolerable pain – In some cases pain may be so agonising and severe that no painkillers are able to help. Should this occur it is typically considered fair justification for an expedited microdiscectomy. Loss of bowel or bladder control – In some cases a disc protrusion may affect the patient’s ability to control their bowels or bladder. This occur is also considered ample justification for a microdiscectomy. Anterior Cervical Discectomy and Fusion surgery is performed in order to address problems created by a herniated disc in the neck or a disc that has eroded over time due to degenerative disc disease. During surgery the affected disc is removed and the vertebrae above and below said disc are fused. As with any type of spinal surgery this procedure is only recommended after other, more conservative forms of treatment have been exhausted. The surgeon will typically want to see evidence that those more conservative treatments have been given at least 6 to 8 weeks to produce results before recommending Anterior Сervical Discectomy and Fusion (Cervical Disc Herniation) surgery. As stated bone grafts are typically used during this type of surgery to replace the affected disc and fuse the vertebrae above and below the removed disc. Such bone grafts are most often harvested from the patient’s own hip. In some cases however the graft may be sourced from a cadaver or fashioned from a synthetic material such as plastic or ceramic. Patients can typically be discharged the day after having the procedure but full recovery usually takes anywhere from 4 to 8 weeks. There is conclusive diagnostic evidence of degenerative disc disease or a herniated disc. Brachialgia (radicular arm pain) is present to a significant degree. Myelopathy (weakness in the arm or hand resulting from damage to spinal cord caused by pressure) is present. Conservative treatment methods have been given ample time to produce results. The surgeon will take into consideration the degree to which the patient is suffering when making a determination whether cervical decompression surgery is indicated. If brachialgia and/or myelopathy are causing significant distress it may warrant recommending surgery sooner rather than later. At the other end of the spectrum if there appears to be only minimal nerve root compression and discomfort surgery will likely not be recommended. Many UK patients contemplating having their spinal surgery abroad fear that the lower prices they’ll pay in Riga also means lower quality healthcare. Fortunately these fears are totally without merit. The surgical staff at Neuro Spine Riga were educated in the finest universities and have spent copious amounts of time perfecting their craft in the major surgical facilities of the West including the Department of Neurosurgery at Southern General Hospital Glasgow and elsewhere. They are recognized both in Latvia and abroad as being among the most qualified orthopaedic surgeons and neurosurgeons in Northern Europe. Each year members of our surgical staff perform hundreds of procedures on patients from every corner of the globe and their success rates are as good as or better than what you will find in places like London or Dublin. Patients contemplating Riga from afar also sometimes fear that they’ll arrive here only to find run down facilities with outdated equipment. Again, this is simply not so. The Neuro Spine Riga clinic is a state of the art facility that took its design cues from the top clinics and surgical facilities. Our patient rooms are spacious and equipped with an array of features to make your stay more comfortable and convenient, including high-speed wi-fi, large flat screen TVs, air conditioning and brand new sleeping and personal care facilities. If you wish to bring along a family member or friend they can be easily accommodated in the room with you. 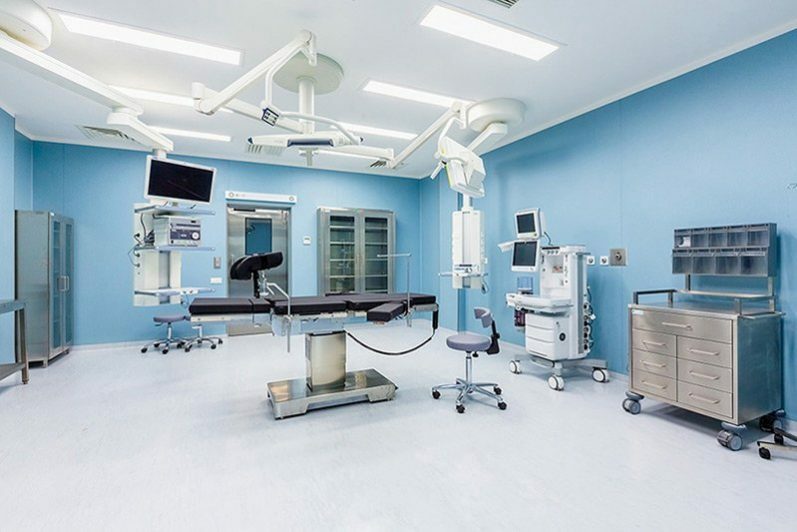 Our operating rooms are outfitted with the latest in diagnostic and surgical equipment and are second to none in this regard. Our commitment to patient care also means that we continually reinvest in our facility to keep it up to date. 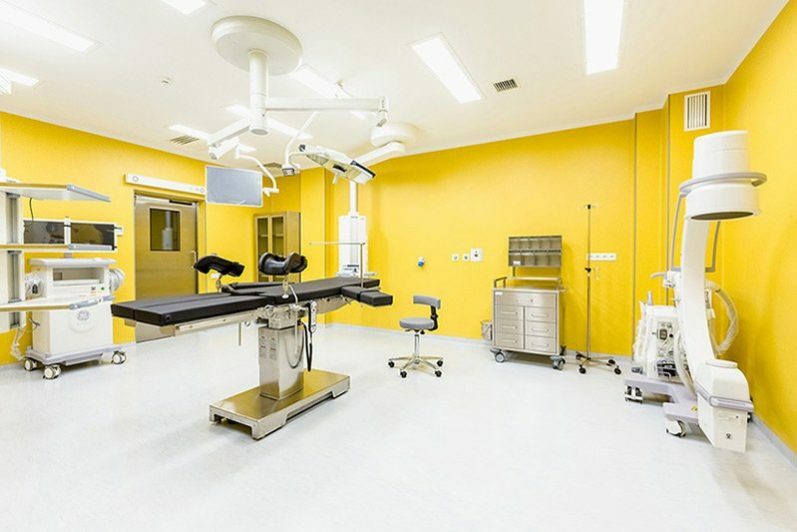 The bottom line is that there is no clinic or hospital you’ll find in London or Dublin that will be cleaner, better equipped and better staffed than Neuro Spine Riga. It is not unusual for patients to have to wait for months, and sometimes years, to have surgery on the National Health Service in the UK. Should you decide to have your spinal surgery at Neuro Spine Riga however you can make your appointment the same day your funding application is approved and have your surgery in a matter of a few short weeks at most. Should you decide to pay for the procedure yourself and bypass the refund application process any wait will be even shorter. The refund application process can be confusing to say the least and certain aspects require accurate, thorough medical information regarding the proposed procedure. The highly trained and experienced support staff at Neuro Spine Riga will be there to help from day one so that you have the best possible chance of receiving the funding you need to go ahead with your surgery abroad. Over the past quarter century Riga has emerged from the shadow of its enormous neighbour to reclaim its rightful place in the cultural and economic life of Europe. Once virtually forgotten today it plays host to more than 2.5 million visitors per year. Set amidst the breathtaking landscape of the Latvian coast the city boasts some of the most modern infrastructure in Europe, one of the busiest commercial ports in this part of the world and a modern international airport that sees more passengers than airports in Belgrade or Liverpool. This city hosts many EU institutions, international sporting events and festivals and the population are some of the best educated, most tech savvy you’ll find anywhere. The centre of the city has been designated a UNESCO World Heritage Site due to its incomparable collection of Art Nouveau and Jugendstil architecture. And an afternoon spent exploring the area will uncover enough gastronomic delights, artistic treasures and historical landmarks to satisfy any visitor. You must be a legal resident of the UK who is entitled to National Health Services. The surgery you are proposing to have abroad must be deemed medically necessary (no cosmetic procedures allowed). You must have the surgery in a facility based in a European Economic Area (EEA) country. The surgery must be comparable to what you would undergo in the UK on the National Health Service. You must have a letter from an EEA certified clinician indicating you have gone through a thorough clinical assessment. You need to receive prior authorisation for any type of spinal surgery to be performed, whether at home or abroad. Anyone hoping to take advantage of S2 or EU Directive funding will need to keep this in mind and submit a reimbursement application before scheduling their surgery abroad. In addition it is vital that you obtain an assessment letter from a qualified EEA clinician that outlines the case for your proposed surgery. National Health Service decision makers use this to help determine whether neurosurgery procedures are medically justified. They’ll also use the letter to determine whether you need to have surgery now or if you can wait until an approved UK healthcare provider can perform it. The act of traveling to have the procedure is likely to worsen the patient’s condition or pose some other form of danger to the health of the patient. Having the surgery abroad would somehow pose a risk to the public (not an issue with spinal surgery). 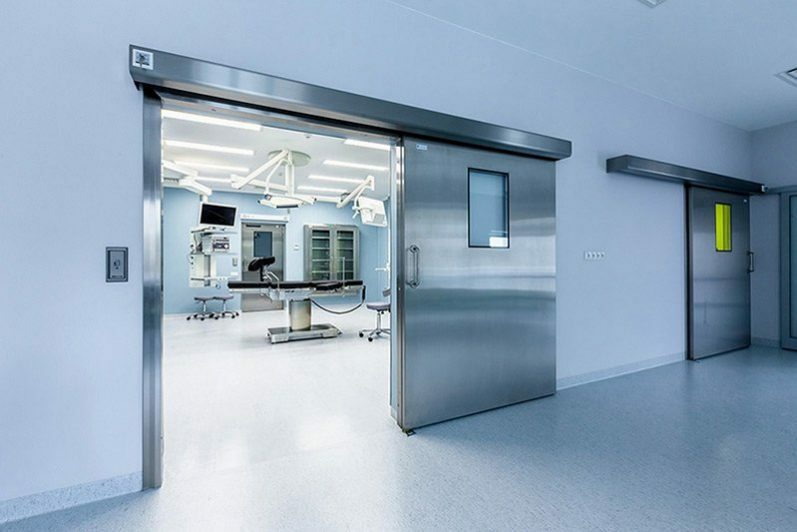 The facility chosen to perform the surgery exhibits lax or substandard levels of patient care (not an issue when it comes to Neuro Spine Riga). The National Health Service determines they themselves can provide the needed surgery in a timely fashion and so no trip abroad is necessary. Note: Approval of your refund application does not imply the National Health Service accept liability for the procedure. They do not. They simply agree to pay for it. Although the National Health Service makes it quite clear that prior authorisation is necessary for all types of spinal surgery there are still many who want to know if they can have their spinal surgery in Riga and then apply for reimbursement after they return. If they did not receive prior approval for the procedure the answer is “no”. The only possible exception is if a legal resident of the UK is involved in an accident overseas and requires immediate surgery to deal with their injuries. Even then approval for reimbursement is not guaranteed, particularly if the accident is deemed to have been caused by the person seeking reimbursement. Without a doubt the best way to proceed should you wish to have your spinal surgery in Riga is to fill out the refund application (we’ll be happy to help) and submit it. Typically you won’t have to wait more than a few weeks to hear back from NHS who will inform you if your application is approved or declined. If approved you can go ahead and schedule surgery with us the same day. If declined you may want to either appeal the decision or pay for the procedure out of your own pocket. Since the procedure will be so much less in Riga (with no drop off in quality) paying for it yourself may make sense. We can advise you on several ways you may be able to make self-payment work for you. Clinical neurology and neurosurgery are fields that typically attract the best and brightest minds in the medical field regardless of whether they practice at the Atkinson Morley Neurosurgery Wing at St George’s Hospital, London or in Dublin or Riga or anywhere else. If the notion of saving time and money while receiving the same level of care you receive in the UK interests you consider having your neurosurgery at Neuro Spine Riga. We’ll assist you with every aspect of the refund application process and once at the clinic, you’ll receive a level of service you probably thought was a thing of the past.